Arkansas continues to shoot itself in the foot with the recent passage of new regulations governing home schooling. As a new year begins, public hearings on the latest revisions are open only through January 17. After the public comment period, assuming comments fail to arouse concerns at the Arkansas Department of Education (under the leadership of evangelical Christian Johnny Key), the new rules will be submitted to the state Education Board for approval. Members of the evangelical right have taken an increasingly militant stance about public education. Partly white flight from integration, partly concern over exposure to gay or minority students and the so-called liberal agenda, and partly public school difficulty in maintaining high educational standards in the face of inadequate funding alongside demand for extraordinary services in mainlining students with special needs, reasons abound for conservative parents to seek alternatives. 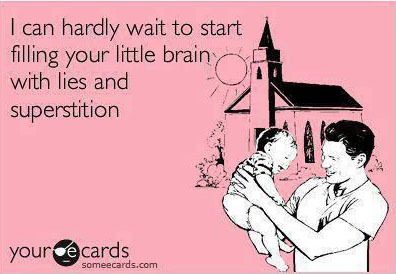 But by far the greatest reason for parents choosing to homeschool is their determination to teach religion. Evidently church alone isn’t enough to satisfy this need. According to the surveys conducted by the National Center for Education Statistics, 91 percent of homeschooling parents are more concerned about the environment of schools and want to offer a religious (64 percent) and/or moral (77 percent) alternative. Smaller-scale studies of parental attitudes have found the same thing, from the conservative fathers who try to form a moral cocoon around their children, to African-American families who want to foster a sense of racial pride in their children, to “quiverfull” families trying to have enough children to Christianize the United States by demographic transformation. Obviously none of these interests coincide with the need for good citizenship in a blended American society. In Arkansas, where fundamentalist religious teachings flourish under the guidance of such groups as the Family Council (a conservative research, advocacy, and education organization), the self-explanatory Clark County Christian Home School Organization, and the even more self-explanatory Texarkana Organization for the Resolute Christian Homeschoolers, state lawmakers have signed off on the radical Christian agenda. 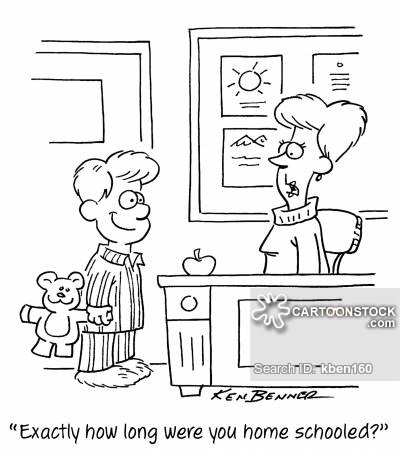 Is it best for parents to be the sole instructor and judge of their children’s education? Is it best to prioritize religious beliefs over the U. S. Constitution? What if parents don’t care much about history or math or computer skills, but prefer their children only understand the Bible? What is the responsibility of the state to ensure that it doesn’t end up with a significant number of young adults incapable of holding down a job, getting along with their neighbors, or functioning as a thoughtful voter? The latest round of regulations, promulgated during the 2017 legislative session, clarifies requirements for homeschoolers moving in or out of the public schools and in particular their participation in sports and other extracurricular programs. (Never underestimate the importance of football—and, to a lesser extent, other sports—as the state’s second religion.) As the numbers of homeschoolers have grown, so has the burning need to allow an overlap of public school football and homeschoolers. Most importantly to anyone concerned about the nation’s future and the potential for our very own religious war, the new regulations remove the state entirely from any oversight of homeschoolers. No one will know if home schooled students are learning any of the reasoning skills or basic facts essential to the maintenance and advancement of our society. No one knows or apparently even cares whether the parents are capable of teaching or well-educated themselves. Most of all, no one seems to care that isolated segments of the population are being given free rein to seclude themselves harboring potentially seditious motivations. Parents wishing to cloak their children in fundamentalist Christian beliefs can blithely ignore scientific evidence of the earth’s geologic age or evolution of species. They can sidestep entirely the subject of human reproduction and its greater context in biology. Thousands may emerge from their ‘education’ with no knowledge of how babies are made or the use of birth control, much less how lifetimes of suffering might be avoided through pre-natal testing. No one will know if students are learning that government is evil. No one will interfere if children are taught to ignore the political process or the vital responsibilities of citizenship. The state is stepping back, washing their hands, of the original dictates of the nation’s earliest leaders who recognized the importance of education. Will any of these children, or their parents for that matter, comprehend the urgent truth in the statements of our Founding Fathers? Surely not all homeschooled children will turn out to be close-minded religious zealots incapable of reasoned understanding of complex issues such as immigration, minority rights, or the nuances of gender and sexual orientation. But as the numbers of homeschoolers continue to increase in Arkansas and the state continues to back off any meaningful oversight, the potential for rabidly ignorant and potentially treasonous segments of our population increase exponentially. [From a 2012 article in the Arkansas Democrat-Gazette]: The latest count of home-schooled students in Arkansas shows about 400 more students are learning at home compared to the previous year. The Arkansas Education Department said 16,405 students completed the 2011-2012 school year as home-schooled students. That’s compared with 16,003 in the prior year. …State records show that in 1986, 572 students were home-schooled in Arkansas. By 1992, the number was 3,140, and by 2002, 12,497 students were being taught at home. The 16,405 children home-schooled last academic year is equal to 3.5 percent of the state’s 468,000 public school students. The count in 2017 was 19,000. Yes, I’ve blogged about similar topics before. “Number of home-schoolers in state rises again,” Associated Press. Arkansas Democrat Gazette, September 10, 2012. This entry was posted in American Culture, American history, current events, Local History and tagged Arkansas, breeding stupidity, cost of ignorance, education, Founding Fathers, homeschooling, patriotism, public schools, sedition, treason, willful ignorance on January 3, 2018 by Denele Campbell.